Not for people. How can your individuality, your beauty, your purpose, your experiences and your dreams be boxed. Don’t put me in a box because I’m female, black and loud. A stay at home home mum with bleached hair and a penchant for long ghetto nails. I’m a thinker a writer, I love sophisticated thrillers and maybe when the kids are a bit older I may pursue my desire to study psychology or start my journey to becoming a published author. When people look at you, you’d be surprised with the judgements they are making, but believe me they are making them. It may be your hair, your postcode, your accent but piece by piece they are trying to BOX YOU. 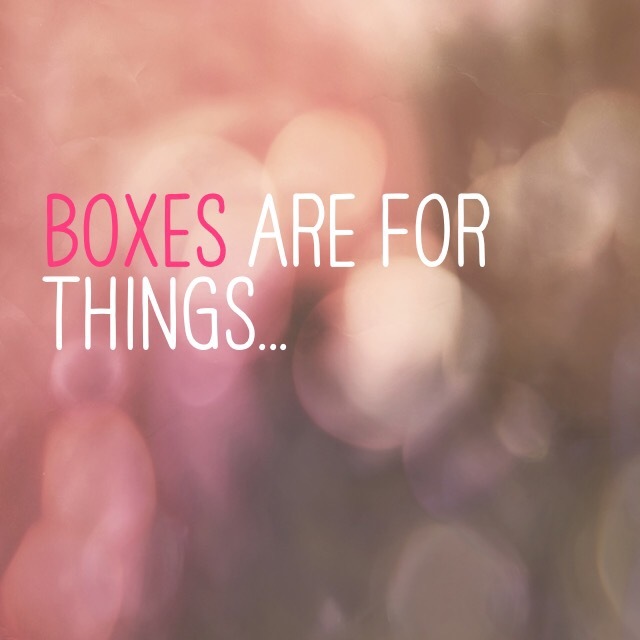 Boxes keep things neatly in place, stopping them for moving about… just think about that for a minute. 🤔😱.